India’s NFU: Does the Defence Minister’s personal opinion matter? 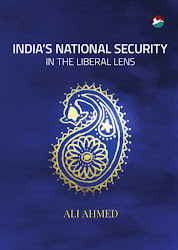 Speaking at a book launch in New Delhi, the defence minister is reported as having voiced his ‘thinking’ on one of the pillars of India’s nuclear doctrine, India’s No First Use (NFU) pledge. Though he reaffirmed there was no change in the nuclear doctrine dating to 2003, Mr. Parrikar reportedly said, ‘I am also an individual. And as an individual, I get a feeling sometime why do I say that I am not going to use it first.’ A defence ministry spokesperson clarified that alongside the defence minister confirmed that this was his personal opinion. The argument in favour of junking NFU is that this would strengthen deterrence by dampening Pakistan’s nuclear ardour. Pakistan has advertised its tactical nuclear weapons (TNW), conveying its intention to ‘go first’ with nuclear weapons. Pakistan hopes this would deter India’s conventional forces from making rapid and significant gains and in case deterrence fails, may help redress the conventional imbalance it views as favouring India. In the argument against NFU, an India without NFU shackles could preempt Pakistani nuclear use, thereby preserving its forces and gains they may have made in conventional operations from Pakistani nuclear attack. An intention and capability for this would deter Pakistan from initiating steps towards nuclear first use. 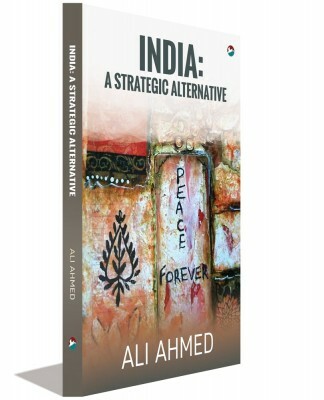 With Pakistan deterred, India would not need to ‘go first’ since it has the conventional wherewithal to gain its war aims. This would keep the war from going nuclear and expand the window below Pakistani nuclear threshold for conventional operations. Those arguing for continuing the NFU opine that India’s readiness to ‘go first’ might have the reverse effect on Pakistan. Rather than deterring its TNW use, it might provoke Pakistan under ‘use them or lose them’ pressures. Its monitoring of India’s nuclear preparations might stampede Pakistan into nuclear first use. Nuclear first use might in such a case not be with TNW against invading Indian conventional forces alone, but might be in a counter force mode, targeting nuclear forces that India might be readying for its own nuclear first use. This would in turn amount to pressure on India for a wider opening salvo, taking out Pakistani nuclear forces mounting the preemptive strike. It appears that while the current threat is of Pakistani TNW use against India’s conventional forces, removal of its NFU by India prompts a wider nuclear threat. Between the two arguments, while rescinding NFU helps with deterrence, maintaining NFU prevents an escalatory spiral. Even if India maintains its NFU in peace time, the Political Council of India’s Nuclear Command Authority would be presented with such a choice early in an India-Pakistan conflict. With India’s conventional forces making headway and with Pakistan preparing to blunt them with TNW, the NCA would require deliberating whether to abandon NFU and preempt Pakistan. It might not be possible to in the fog of war to discern whether Pakistan restricting itself to only to TNW or preparing for a wider first salvo. This may push the decision in favour of preemption and that too in a wider strike taking out Pakistan’s nuclear capability. It is for this reason that some analysts dismiss No First Use pledges in general and Pakistan purports to find India’s NFU pledge less than plausible. While this might stall the immediate and present danger of first use by Pakistan, it would open up India to a similarly violent strike. 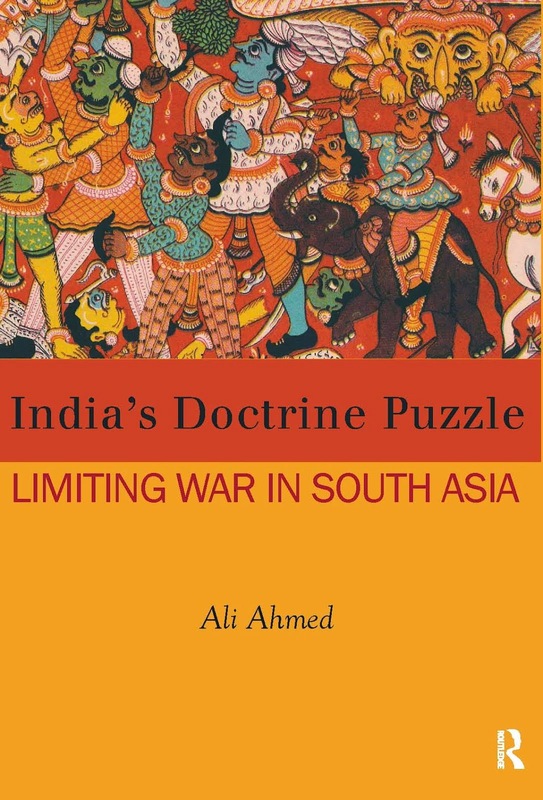 Whereas India may have done counter force targeting in its nuclear first use, Pakistan retaliating with a diminished nuclear force may include counter city strikes to inflict greater pain. The end of such exchanges would of course find Pakistan worse off, but the moot question is whether the knowledge would provide India any satisfaction in light of the blows it might itself have suffered. This brief scenario building exercise suggests that while deterrence is useful, warding off tendencies towards escalation is better. Since maintaining NFU lowers escalatory likelihood, it is better than rescinding NFU even if the latter helps with deterrence somewhat. What this suggests is that not only must NFU be maintained in peace and all indicators towards that end projected for enhancing its plausibility, it must continue to hold even in face of the inevitable spike in Pakistani first use threat in conflict. It is for this reason that the defence minister’s personal opinion counts. He is part of the Political Council of the NCA and in that capacity would require providing his considered input. Mr. Parrikar might like to revise his opinion prior to the contingency arising.